So many delicacies, which make Dordogne the jewel of French gastronomy. Who does not know about the great products of Périgord and who has never heard about the wealth of the Périgourdine gastronomy? The “bloc de Foie gras” is less savoury than the “foie gras entier”, but nonetheless a not-to-be-missed delicacy from the local gastronomy, which allows everyone to taste foie gras without breaking the bank! Finally, foie gras paté, usually mixed with pork, is a simple, inexpensive and nonetheless very tasty way to eat foie gras. Don't forget all the other ways foie gras is used. For example, duck’s neck stuffed with Foie-Gras. BE AWARE: Périgord fois gras owns an IGP (Indication Géographique Protégée)! A guarantee of Control and certification " canard à foie gras du périgord”. In the Périgord, there are many farmers who produce and sell their foie gras directly from their farm. To find them you can follow the Route du Foie Gras du Périgord. 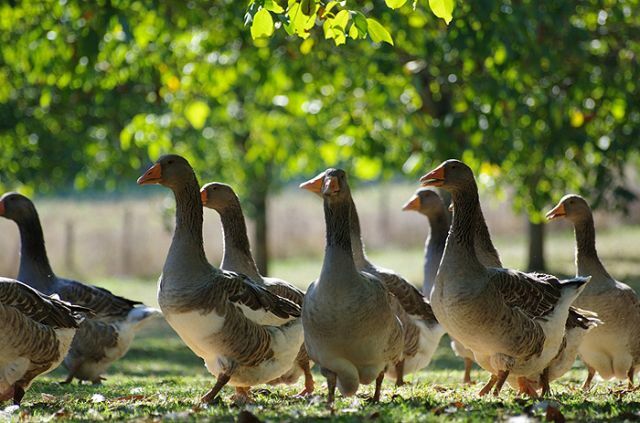 To ensure that your purchase is a high quality foie gras produced in the Périgord, only choose products labelled “IGP-Canard à foie gras du Sud-Ouest - Origine certifiée Périgord”. Check with the Tourist Office for more information. Discover here the Périgord Foie Gras Association. The black diamond of the Périgord used to be dug up by pigs but nowadays it is more likely to be a dog. This famous mushroom is rare and therefore expensive; today Périgord is one of the most important truffle trade centres in France. To see for yourself you just need to go to one of the regional Truffle markets, which run between December and March. 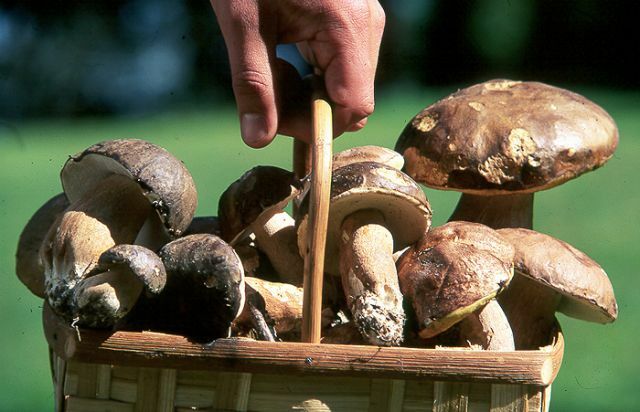 Sarlat, Périgueux, Sorges, Sainte Alvère, or Thiviers, are the centres around which you should look to purchase these famous mushrooms. If you see truffles for sale in markets, they will be expensive but beware of rip-offs. The black truffle is a product in high demand and you will find a lot of products with a very insignificant amount of black truffle it in just to justify their high prices! The black truffles genome was discovered recently and it determines precisely its geographic origin. 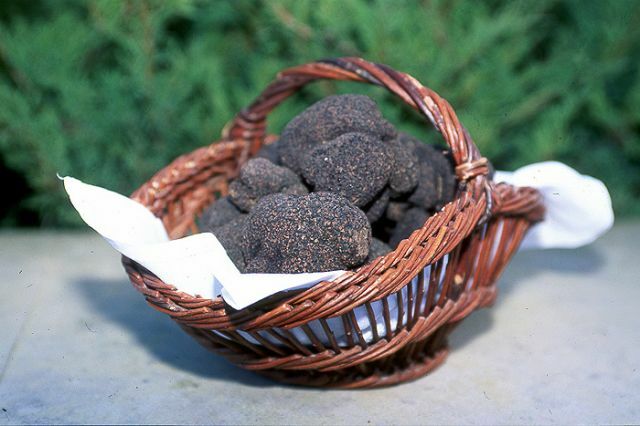 This will limit the number of fake black truffle products and will guaranty a secure future for the Périgord truffle. From the vineyards of Bergerac and its famous Monbazillac, which we will discuss in detail in a dedicated chapter, to the Domme wines, walnut wine, chestnut liquor, and pastis of Sarlat, here again, the Périgord excels in gastronomy and the ‘good life’. Don't forget…everything in moderation! Discover here the Official website of the Bergerac wines. The strawberries of the Périgord also enjoy an IGP (Guarantee of Control and Certification) 7 varieties of strawberries are included in this group. The most famous being the “Gariguette” and the “Mara des bois” (very perfumed). A good sugar/acidity balance is the hallmark of a quality of strawberry. The strawberries of the Périgord are cultivated mainly in Vergt. The Périgord strawberries are cultivated over a 6 month period. The June-bearing varieties are produced from end of April to mid-June. 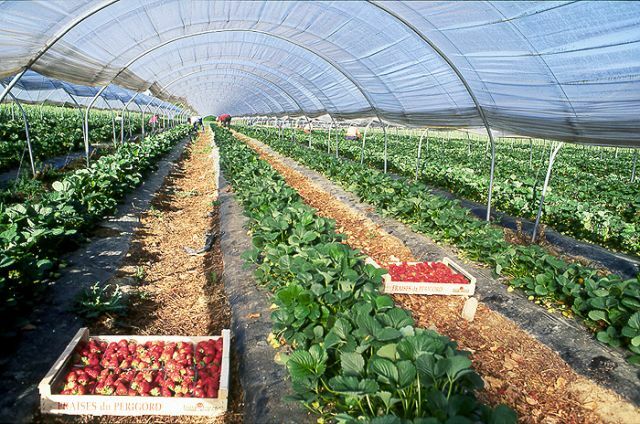 The ever-bearing strawberry varieties are produced from mid-June to the end of October and give two crops per year. The Périgord has more than 200 producers of strawberries in its strawberry producers association. The strawberry is a very versatile ingredient. It can be consumed as a desert, simply with sugar or in a tartlet, but you can also discover other delicious dishes such as the “Magret de canard aux fraises du Périgord” (Duck breast with Périgord strawberries) or also the “verdure de Cabécou aux fraises du Périgord” (Salad of soft goat’s cheese with Périgord strawberries). Discover the Official website of the Périgord strawberry here. To say that the walnut and Périgord share a joint history is far from exaggeration, walnuts can be traced back to the Cro-Magnon period and walnuts were even used as a currency during the Middle Ages. Very early in its history, the walnut made the fortune of Périgord, they were used as an energy source (lighting), artists supplies (walnut ink), hygiene products (soaps) and obviously for cooking. The walnut oil trade developed quickly from the 17th century through the “Gabarres” (Traditional trade boats) of the Espérance River navigating down the Dordogne to Bordeaux to export these products to Germany and England. The walnut today is valued for its nutritional and culinary benefits, used by the best national and international restaurants. The clay-limestone soils of the Périgord create the ideal conditions for the walnut tree. In the main part of the region there are more than 500 villages protecting walnut tree with the ‘appellation AOC walnut of Périgord’. 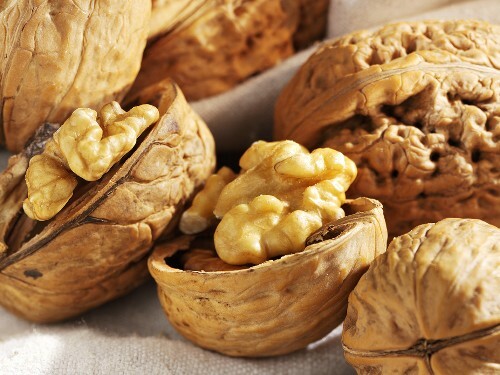 The AOC Walnut of Périgord included four varieties: "Corne" the rustic, "Marbot" the traditional, "Grandjean" the classic, "Franquette" the desired. You can follow the “Route de la Noix en Périgord” (Périgord nut road) and discover its production, tasting, producers, museums and associated restaurants. Maps are available in the local tourist offices. Discover here the Official website of the Syndicat Professionnel de la noix et du cerneau de noix du Périgord. Yes, you read it correctly, we produced caviar in Périgord! The latest addition is the HUSO fish farm in Neuvic near Périgueux (White Périgord). The caviar of Périgord, a rare delicacy is one of the latest treasures of the Périgourdine gastronomy and a new jewel of the Gastronomy in Aquitaine. Feel free to consume without moderation, but don't break the bank. You can't discuss cheese in Périgord without mentioning the famous Cabécou of Périgord (a soft goats milk cheese). 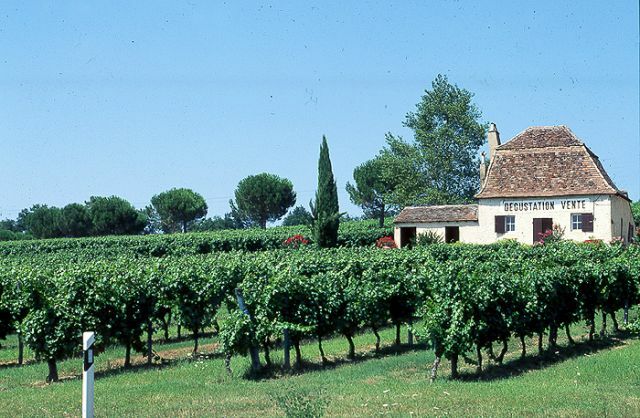 Since 1992, the Cabécou of Périgord has been protected by a brand and a logo. Producers must follow a precise process: the cheese must be produced and refined in Périgord with goats milk produced in Périgord. The Cabécou of Périgord is shaped like a flat stone, light and soft with a pale yellow coating. It is ideally consumed as a young cheese and gives a delicate aroma of nuts. With an apéritif or your cheese platter, it is a versatile cheese suitable for all occasions. Learn more about the Cabécou of Périgord here. 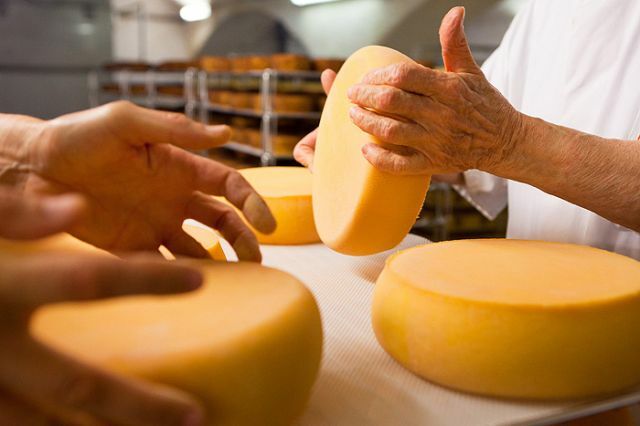 What is the oldest cheese in Périgord? It is the Trappe d'Echourgnac: When the monks of the Abbey of Port du Salut in Mayenne came to live in Echourgnac to help the inhabitants of la Double, they started the creamery where they produced the famous Port Salut, which they brought from their abbey. Today in Echourgnac, the famous Trappe d'Echourgnac is produced in two varieties; either ‘nature’ or with walnut liquor. It is a product, which is very well known outside of the Périgord!